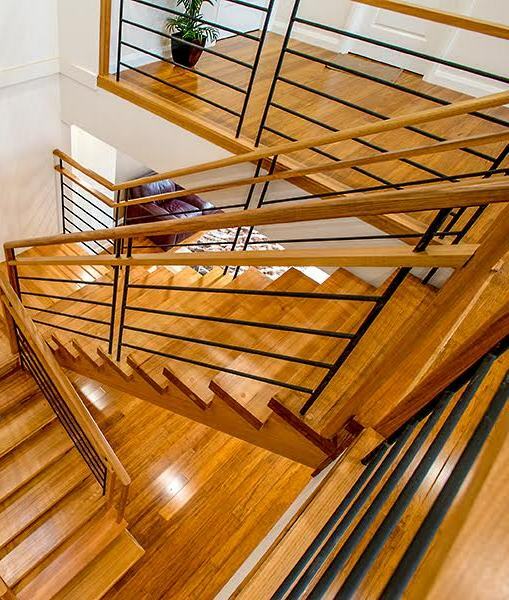 This stair in a Taylors Lakes home, is a half open and half closed cantilevered stair design in a single straight flight. 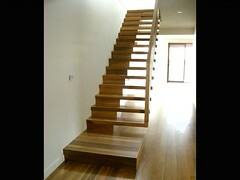 The stair components are made using Spotted Gum. 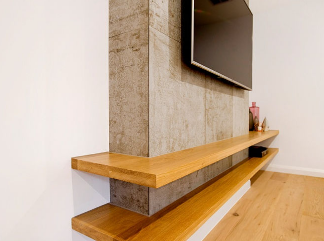 The treads are oversized to eliminate the need for riser reducer strips. 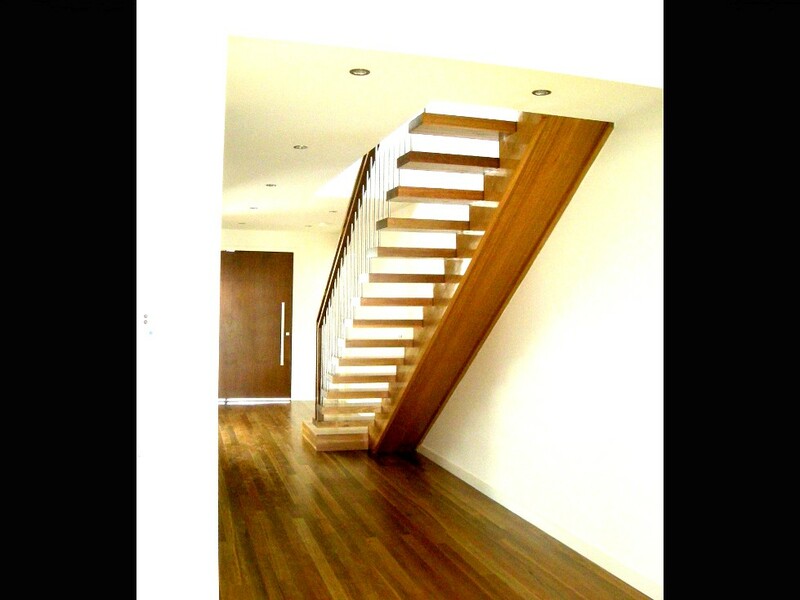 This open cantilever stair adds a design element to the minimal look of the entry and hallway in the home. 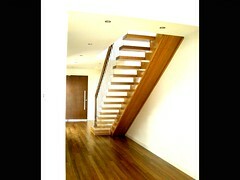 There is a large boxed feature landing step at the very bottom of the stair. The boxed string is designed and manufactured to support the cantilever. 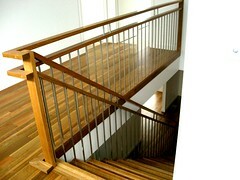 Solid fixing points were required at the top the bottom of the staircase. This stair is made of Spotted Gum with a clear finish. The balustrading is manufactured with stainless steel vertical balusters that support the double timber hand rail in Spotted Gum. 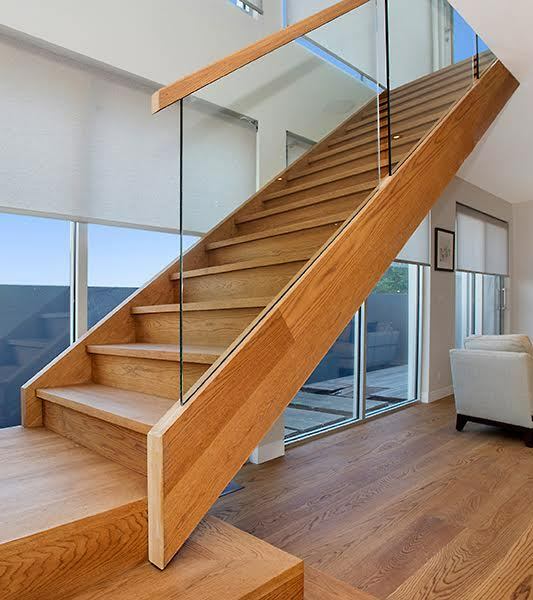 Specifications: ex 75×38 posts, ex 75x38mm double timber handrails, ex 100x38mm capping and fascia, 16mm round stainless steel balusters.